We are very lucky to regularly start our day at The High School to the sound of music, played by or very talented and dedicated young musicians. 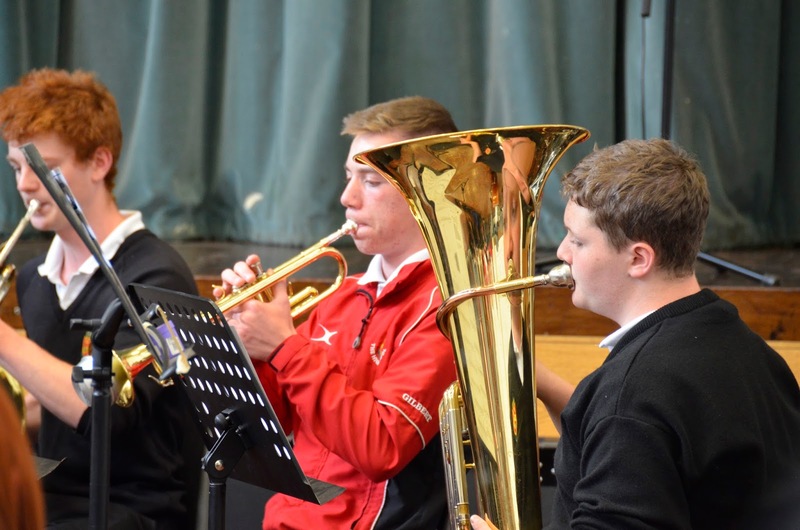 At assembly, this Thursday, we enjoyed a double bass duet, featuring Alex Felle and Ritchie Burbridge, from Form 6, playing Bottesini's Andante Gran Duetto no. II. Then on Friday morning, a brass ensemble, featuring Rob Whyte, William Le Bas, Nathan Timmins and Gerard Colman played the theme from "Jurassic Park", composed by John Williams and arranged by William Le Bas. On both occasions the result was transformative, and the audience drifted off to class, all the better for it. Many thanks to all involved.